Use of plasma arc allowing cutting of all materials conducting electric current has been used in industry from 50s of the last century. Use of plasma arc allowing cutting of all materials conducting electric current has been used in industry from 50s of the last century. 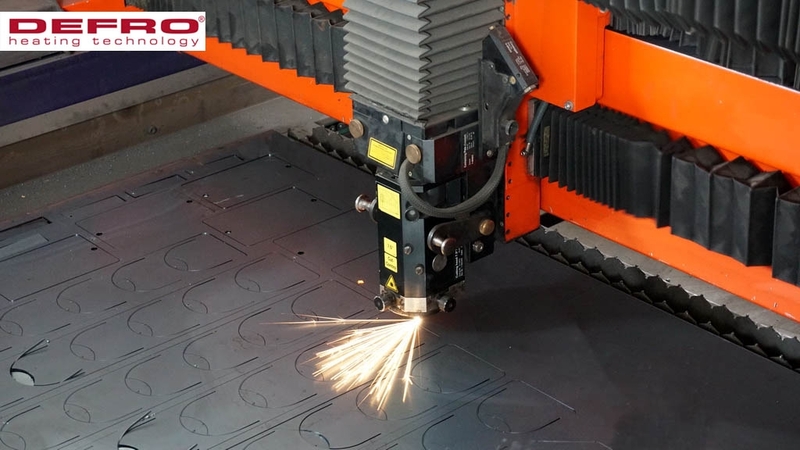 Development of cutting technology and specialist equipment allowed extension of use of plasma cutting - from the previously developed austenitic steels and light-alloys steels - with low-alloy steels. Great development of this technology caused that in some conditions plasma cutting started to be competitive for such processes as e.g. laser cutting or gas gutting. Moreover, depending on the production amount and needs of the obtained surface quality and repeatability of dimensions, the thermal cutting processes can be carried out manually, semi-automatically and automatically (CNC). Plasma-generating gas, flowing through electric arc, glowing between the electrodes, is subject to ionization and thanks to high compaction of power, it generates stream of plasma (ionized gas). Nozzle installed in burner gathers plasma arc. Cooled walls of the nozzle causes narrowing of arc column. High temperature in the core of plasma arc and very high speed of the plasma stream (kinetic energy) are phenomena causing that material is fused and blown out from the slit. Plasma generating gas should be characterized with high enthalpy and high thermal conductivity and possibly the smallest dissociation and ionization potential as well as big molecular weight.